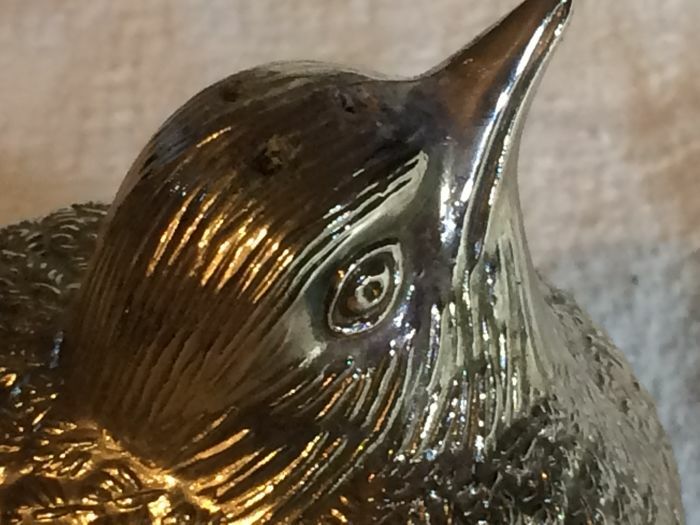 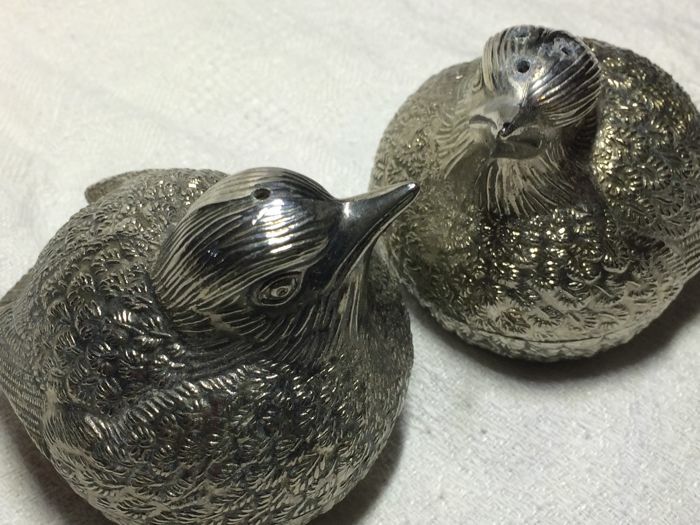 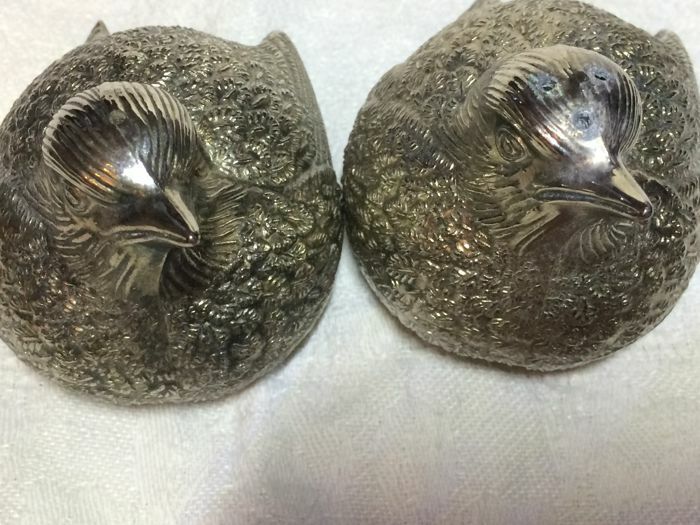 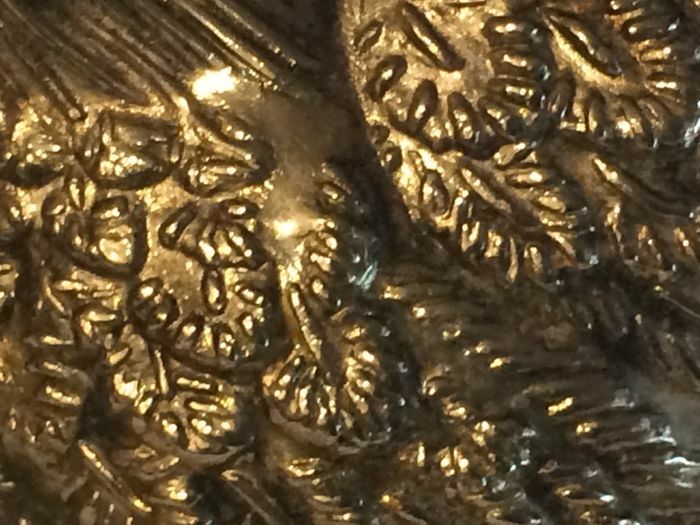 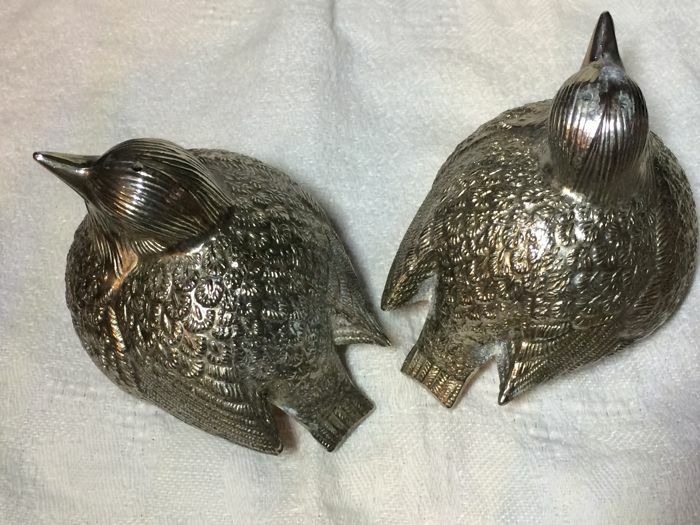 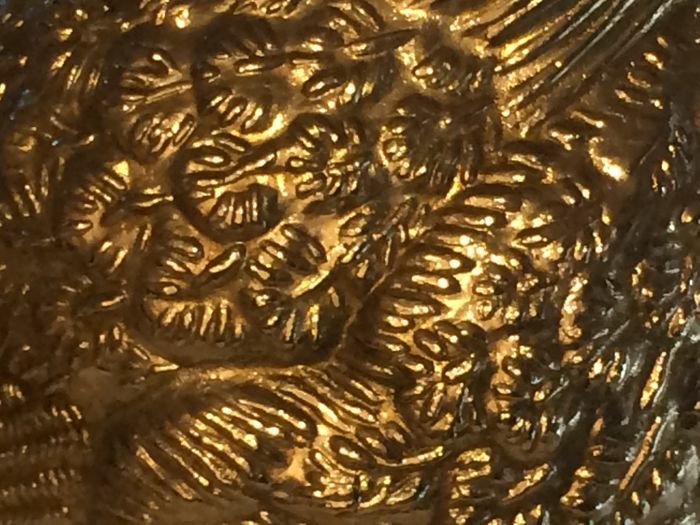 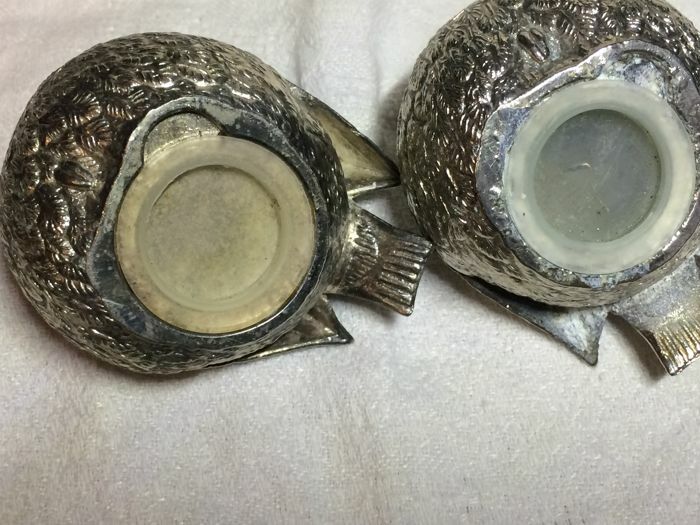 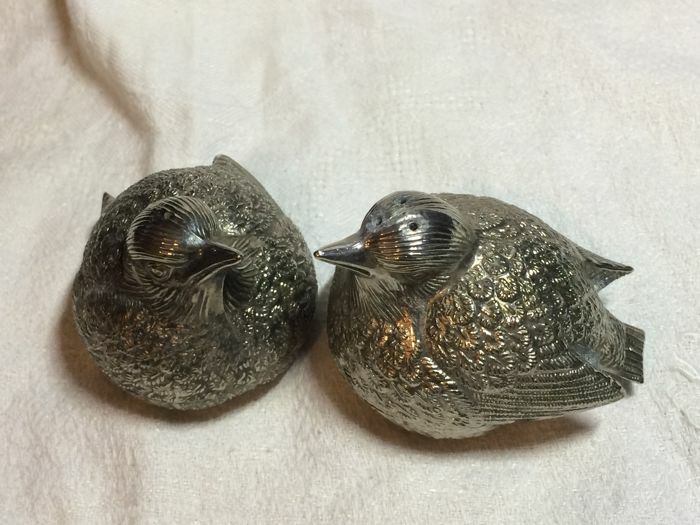 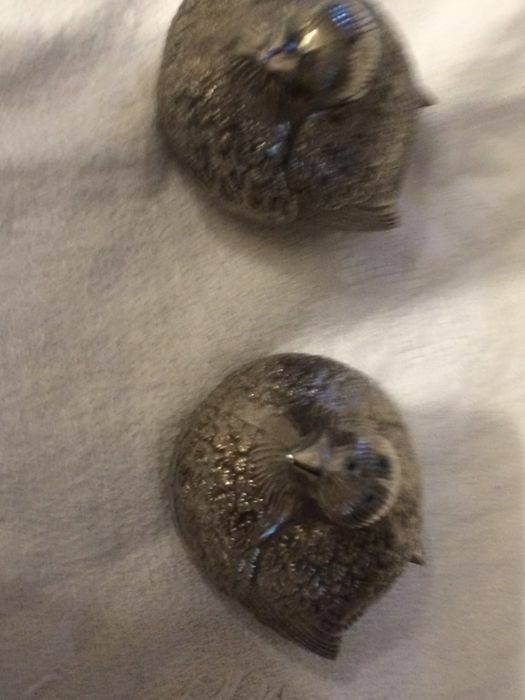 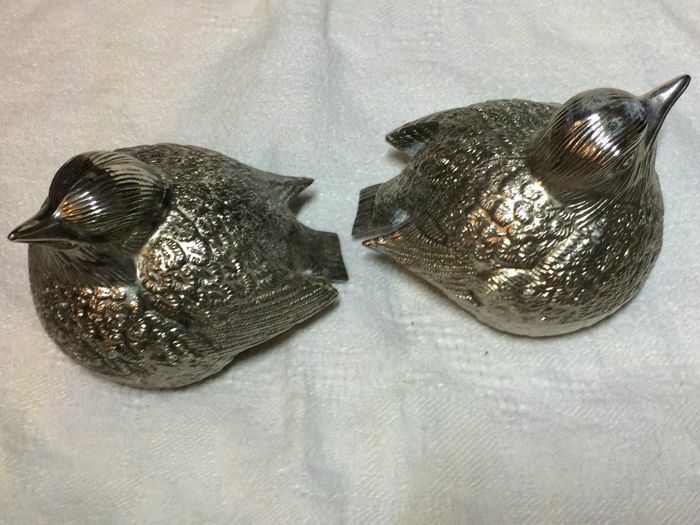 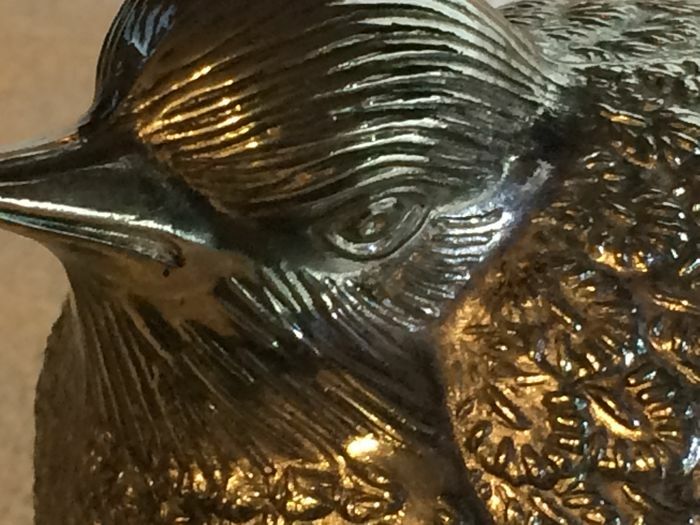 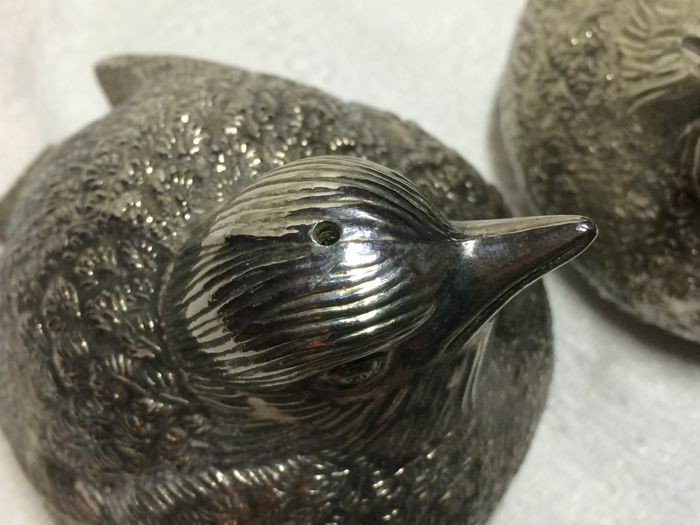 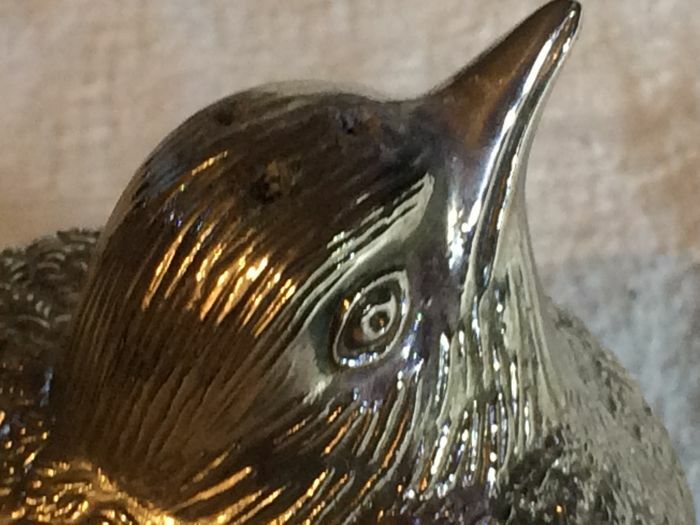 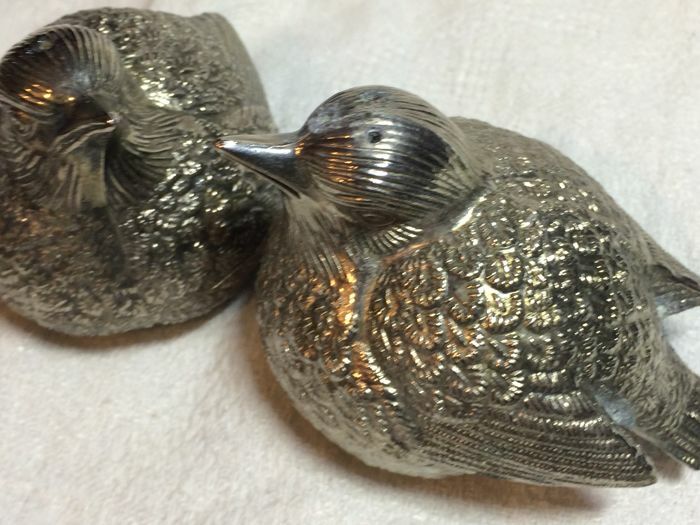 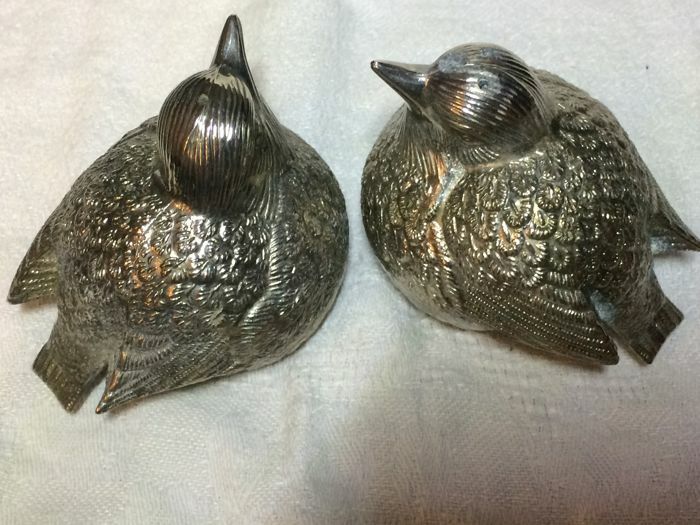 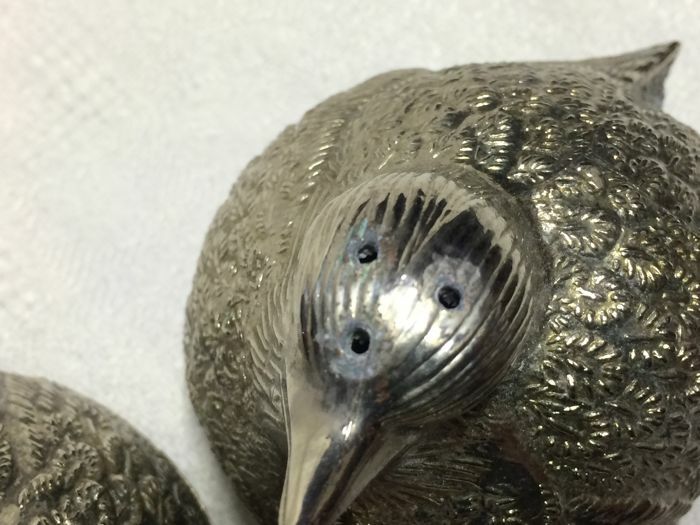 Pretty bird shaped salt cellars made of silver-plated metal. 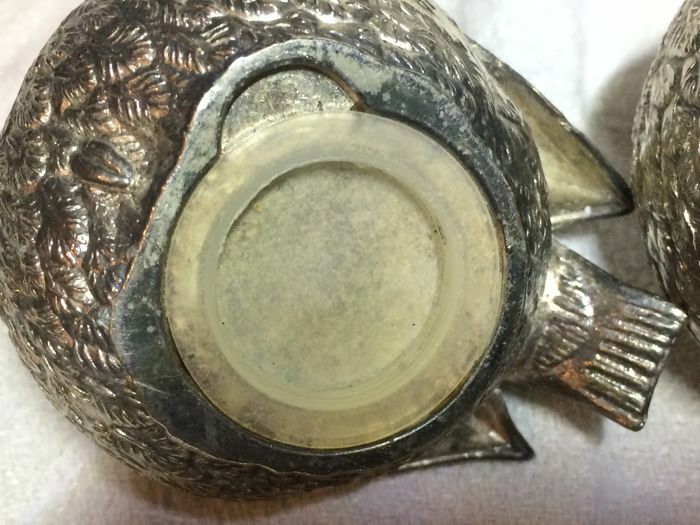 In very good condition, with just a little wear on the three holes for the salt (visible on a picture). 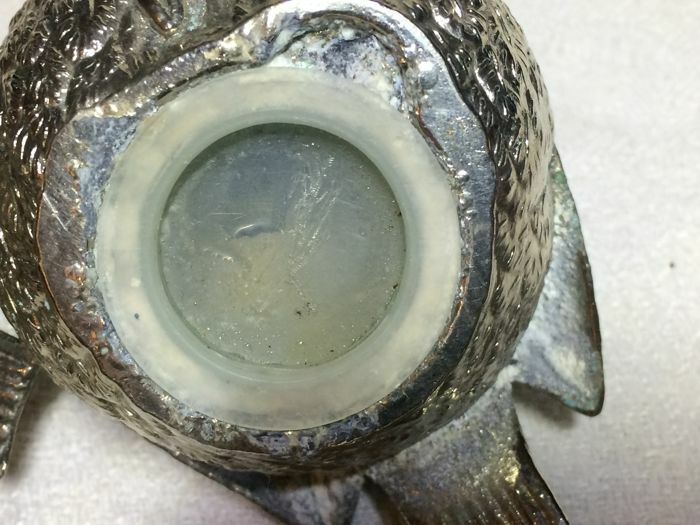 The item is as described and very well packaged, I recommend the seller.